One of the things we really like about where we live is the proximity of just about everything we need. We walk to our grocery stores, fruit and vegetable stands, subway station, gym, shoe repair and pedicure shops, barber, bank. 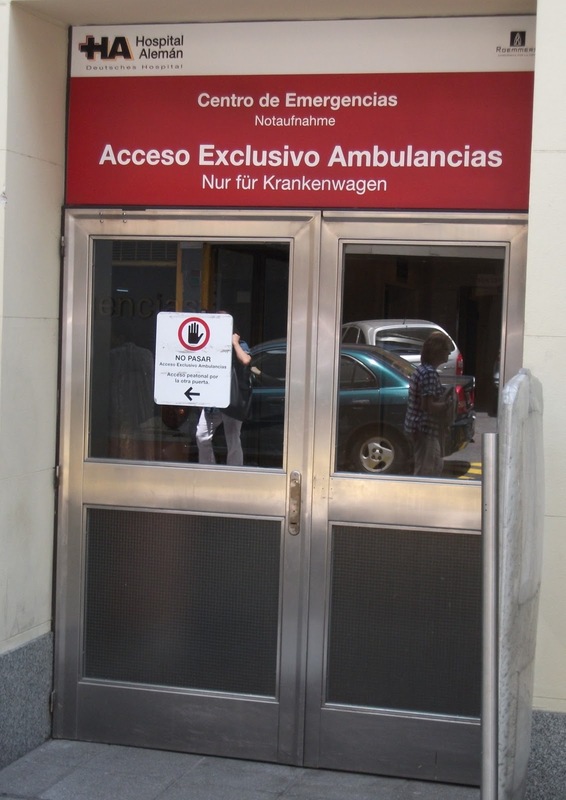 Early on the morning of Thursday, November 4, we even walked - albeit slowly and with several pauses - to the nearest emergency room, located about 4 blocks away at Hospital Alemán. Linda had awakened hours before with what she thought was stomach pain that grew steadily more severe. Finally we agreed that the situation required medical attention and headed to the emergency room, where Linda was whisked right away into an exam room. There blood samples were drawn, an IV with pain killer hooked up, and an exam conducted by the very capable and personable physican on duty - Dr. Alejandro Fabian Irastorza - assisted by two eager young residents. Something was wrong with her liver. A consult with a team of surgeons was ordered, as were an ultrasound and a CT scan, all conducted promptly and efficiently. Meanwhile, with each order, Kurt was given a receipt and directed to the cashier's office. A real pay-as-you-go system for those without applicable insurance. Eight hours later, with pain and nausea conquered, Linda was allowed to leave, but with a strict diet of no medications and only crackers, white rice and pasta, the latter of which, Dr. Irastorza said, could be flavored with a little olive oil. (Surprising how good that is!) Follow-up blood samples were conducted the next day and again three days later. Levels of bilirubin and other indicators of liver functions that had been off the chart were falling dramatically to normal levels. In the meantime, it became clear that the probable culprit was a medication that Linda had been taking for several years and that evidently had accumulated to toxic levels in her liver. That element was dispensed with and she's now long since back to a regular diet. Subsequent tests have confirmed the source and - more importantly - the resolution of the problem. We have no idea of what all the diagnostic procedures and professional consultations and analyses would have cost in the States. One friend has suggested at least $15,000 for the emergency room alone. 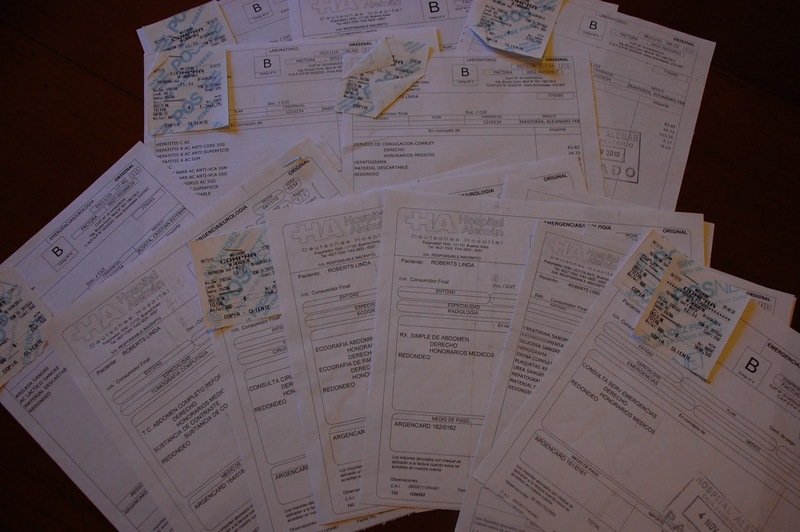 Our total bill worked out to just about $1,500 USD, under the threshold for filing an out-of-network claim with our US insurer. Glad to hear it all worked out so well and that Linda's on the mend. Linda, What a relief it must be to find the source of the problem. Buen salud en el año nuevo.